You can learn how to make all of these things and more in Allen Kurzweil’s new book, Potato Chip Science. Frito-Lay’s recent decision to curtail production of its deafeningly crinkly biocompostable Sun Chips bag is a blow to environmentalists, who estimate that more than a trillion square inches of snack packaging (enough for the Christos to wrap all of Singapore) end up in American landfills each year. In response to this setback, PotatoChipScience.com, a website devoted to eco-friendly snack hacks, has posted a slideshow that let’s folks repurpose empty chip bags before they reach the dump. The Chipmobile. 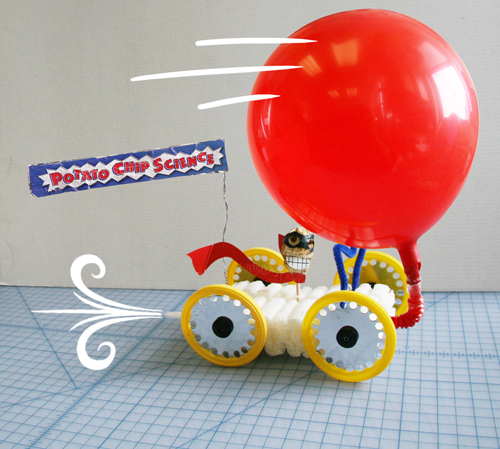 This eco-friendly racer (which comes fully loaded with pipe-cleaner struts, bendy-straw exhaust, chip lid wheels and chip bag rims) is powered by a renewable energy sources–your breath. The driver is sporting a chip foil foulard and matching foil goggles. 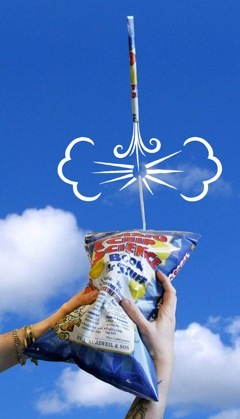 Bag Blaster. All rockets–whether destined for the moon or the kitchen ceiling–are subject to the physical forces of thrust, drag and weight. You can confirm these basic properties of aerodynamics with little more than two empty chip bags (one for the launch pad, the other to rocket), some tape, and a bendy straw. Compass. Feeling lost? 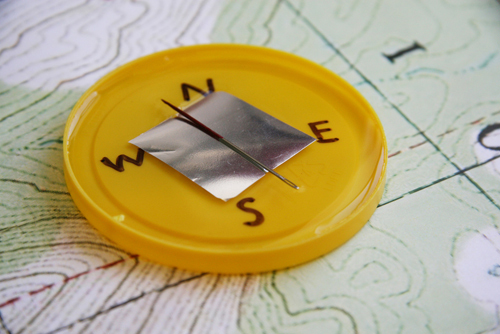 One small square of potato chip bag, a chip lid, magnetized needle, and two ounces of water can point you in the right direction. The Electric Wave. 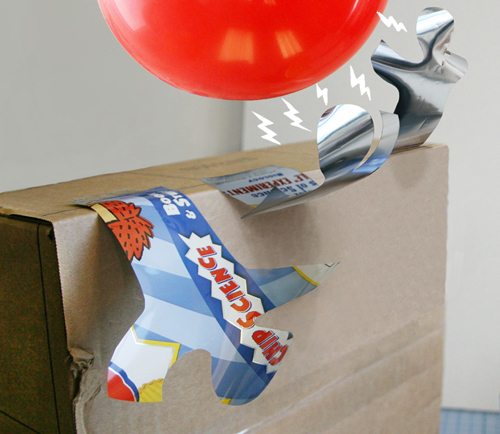 Reusing an empty potato chip bag (plus a pair scissors, a balloon and a head of hair) can be positively–and negatively–electrifying! The Hydrofoil. 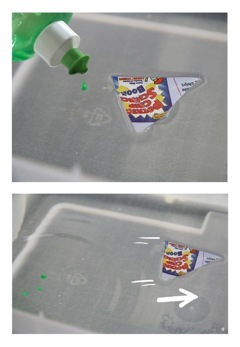 One drop of dish soap is all you need to give this chip ship zip. Why? Because detergent punctures the water’s invisible “skin” and that, in turn, triggers enough of a molecular wave to push the bag boat forward. 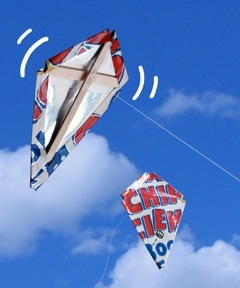 Chip Bag Kite. Two wooden coffee stirrers, some double-sided sticky tape, kite string and an empty potato chip bag are all you need to confirm Bernoulli’s Principle and Newton’s Third Law of Motion.